At Around the World Beauty, we’re already huge fans of Ayurvedic medicine, and our founder Stephanie Flor certainly knows a thing or two about this time-honored practice. She’s spent time in Kerala learning the ancient art of Ayurvedic medicine, and has traveled to the north of India to discover the techniques necessary to manifest a balanced dosha. Steph has brought all this wisdom back to Around the World Beauty, and we are inspired by Ayurveda every day. Ayurveda has existed for thousands of years, but now its wisdom is being used to create amazing 21st century products for everyone to enjoy. 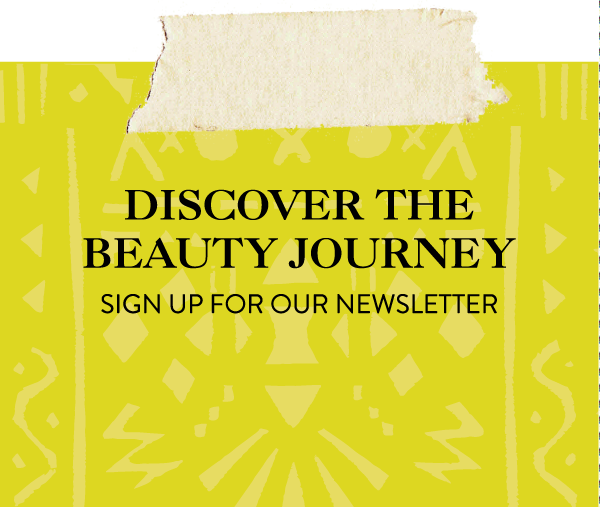 We love discovering beauty brands embracing Ayurvedic practices for healing your skin and telling the story to the next generation. We can tell that it’s definitely going to be a big trend in the coming years for not just skincare, but health and wellness. We explained this more in depth in articles like balancing your doshas and the magic of golden milk about Ayurveda, but to recap: Ayurveda is the ancient Hindu practice of optimizing health through balance and mindfulness. Ayurveda literally translates to “life science” in Sanskrit, and Ayruvedic medicine in general strives to keep the body and mind in perfect harmony. The body is controlled by the three elements, or doshas, which have different effects on your health and well-being based on the season. For example, during summer, Pitta, the fire sign, is dominant. However, during winter, Kapha, the Earth sign, reigns. Ayurveda teaches us to pay attention to our bodies and our emotions in order to maintain a happy equilibrium. How can I incorporate Ayurvedic practices into my life? One of the simplest ways you can start practicing a more Ayurvedic lifestyle is to actually start paying attention to your body and mind. And by “pay attention,” we mean noticing more than the obvious things. That is, we all know that when we go on a beer and pizza bender, we’re going to be bloated and lethargic the next day. It’s more than that – it’s paying attention to how your body and mind reacts to the little things. Try journaling for one week. Write down the weather, your mood, how your skin felt, what you ate, and how you felt throughout the day. You’ll find interesting correlations that will help you lead a more balanced life. Why is Ayurveda gaining popularity? Because it works! While Ayurveda is a sophisticated science, its basic principles are effective and easy to understand: pay attention to your mind and body, and keep them in balance. We definitely recommend that you read up on Ayurveda in order to understand it more in-depth. Now that we’ve covered the bases, here are our 5 favorite Ayurvedic brands that are taking over the beauty world. While Sahajan consulted with two expert Ayurvedic doctors while creating their amazing line of products, they didn’t stop there. The brand put its products through extensive clinical trials, consumer testing, and regulatory reviews to prove what they already knew: that Ayurvedic medicine is backed by science. With the drying fall and winter approaching, try indulging in their NURTTURE Hair Oil or RITUAL Body Oil to counteract frizzy hair and dull, dry skin. This unique brand makes precise blends of perfume oils designed to appeal to, and balance, the different doshas. 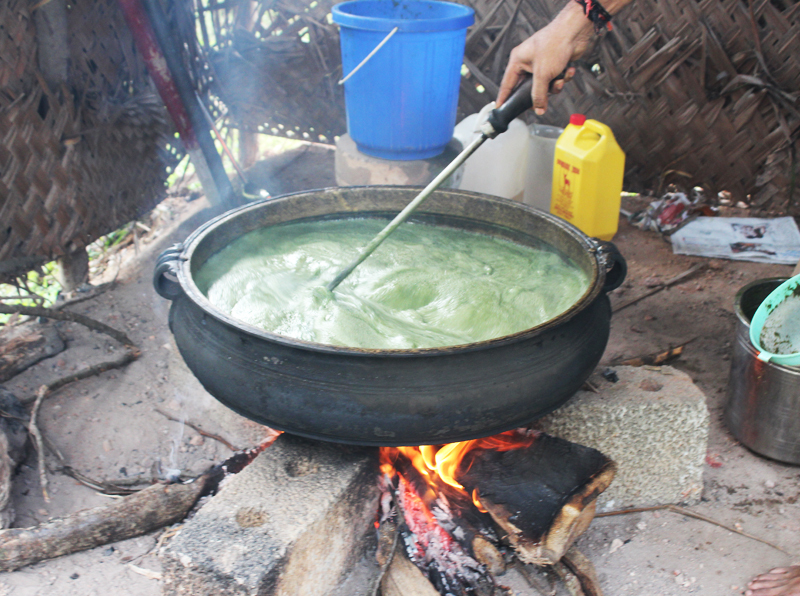 Each formulation helps bring the doshas to a peaceful center – and they smell great, too! First, find out what your dominant dosha is (try this quiz here! ), and give their Kapha, Pitta, or Vata perfume oils a try. This brand’s amazing display of a lush jungle immediately drew us in at IBE 2018. The show marked Täila’s official launch, and we’re so excited to follow this line. Täila’s products have a precise blend of holistic healing ingredients that have been used for thousands of years in Ayurvedic medicine. Their products are simple and effective, but their amazing scents and textures make them a treat to use. If you’re struggling with fall breakouts, try their Nava Jungol Detoxifying Jungle Mask to cleanse pores, and follow up with their amazing Vayu Illuminating Toning Mist. During our time in India, we discovered this amazing beauty store that is a combination of ancient wisdom infused with a modern aesthetic. Forest Essentials is a traditional skin care brand with its foundations in the ancient science of Ayurveda. Forest Essentials is a pioneer in the luxury Ayurvedic market, and is an “it” Indian Beauty Brand. This amazing brand has some of the most helpful experts on hand, who will suggest products to you based on your dosha readings. While traveling through India, you’re sure to encounter spiritual gurus around every corner. However, not many are like Sri Sri Ravi Shankar. An international humanitarian leader and spiritual master, Shankar’s vision for his brand Shankara was to create a total sense of well-being through. His products bring peace to the mind, love to the heart, and nourishment for the skin. This generous brand doesn’t stop there; they donate 100% of their net profits to humanitarian causes. Now that’s a brand we can get behind! Ayurveda is about balancing the doshas and creating mind, body, and soul.